We've always been big fans of the Mazda MX-5 Miata, and after the 2016 Mazda MX-5 Miata's full redesign, we weren't sure how the roadster could possibly get any more impressive. With a huge variety of modernized equipment, a peppy handling, and plenty of power under the hood, the Mazda MX-5 Miata couldn't get much better. Or so we thought. Enter the 2018 Mazda MX-5 Miata. The roadster underwent a slight aesthetic redesign, added new color options, and received new standard equipment, making it the most impressive Mazda MX-5 Miata model we've seen to date. Keep reading to learn all about the 2018 Mazda MX-5 Miata's design and performance updates! 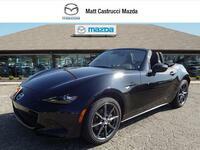 The Mazda MX-5 Miata continues to be offered in three well-equipped trim levels: Sport, Club, and Grand Touring. This year, however, the Sport trim adds the previously extra-cost MAZDA CONNECT™ Infotainment System as a standard feature. The system includes a 7-inch full-color touchscreen display, Bluetooth phone pairing, and internet radio connectivity.  Additionally, car shoppers will now be able to choose between a black soft top, which has always been offered in the past, and a brand-new Dark Cherry soft top. Extra exterior colors have also been added, as has an Auburn Nappa Leather interior. The 2018 Mazda MX-5 Miata will continue to offer a responsive 2.0-liter SKYACTIV®-G engine that delivers 155 horsepower, which can be paired with either a 6-speed SKYACTIV®-MT manual or 6-speed SKYACTIV®-Drive automatic transmission. Additional standard features for all trim levels include LED headlights and taillights, Mazda Advanced Keyless Entry, a USP port, and a leather-wrapped shift knob and handbrake. 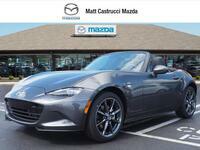 Have additional questions about the 2018 Mazda MX-5 Miata? If so, don't hesitate to contact a member of our team at Matt Castrucci Mazda for more details! Drivers ready to meet the popular roadster up close and in person are invited to stop in and see us at our location in Dayton or schedule an obligation-free test drive online today!